America is renowned as a hot-spot for golfers, and the most popular place for those packing their putters for a sporting holiday is Florida. Home to over 1,000 courses, the Sunshine State has the highest concentration of golf courses than any other place in America, making it a haven for those looking to play a few holes outside of the usual holiday season. However with so many options at your disposal, how do you narrow down where you should place your tee? 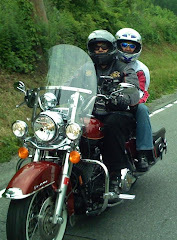 This guide written by Maria Bain should not only help you plan your dream holiday but also make sure that you get the best game out of your visit as possible. Based in the picturesque area of Naples, the Tibuŕon Golf Club is home to two courses both designed by former world number one and golfing legend Greg Norman. Despite not being located by the ocean or featuring dunes, the golf courses are highly revered and are said to play as well as any other traditional links course. The 18-hole Gold course was opened in 1998, and spans 7,288 yards and holds a par of 72. The more recent Black course was opened in 2001, which is made with a similar design to the Gold course but presents a slightly more challenging game to players. The black course also as a par of 72 but is slightly shorter than the Gold at 7,005 yards. Both courses attract PGA professionals for the Franklin Templeton Shootout each December for a 3 day, 54-hole event that raises money for charity. These challenging courses are not open to just pros – guests can play at the greens too for teeing fees that range from $75-$190, depending on the season. Golf clubs and shoes are also available for hire from the club. 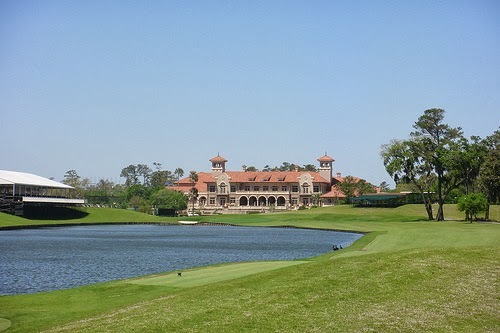 In the Ponte Vedra area of Florida resides arguably one of the most famous golf clubs in North America – the Tournament Players Club (TPC) at Sawgrass. This club is home to the PGA headquarters as well as the Stadium Course which is renowned by golfers across the world, and has even been regularly featured during the Tiger Woods PGA Tour series of video games. The 72 par Stadium Course (first opened in 1982) is home to one of the toughest shots in golf, the 17th hole known as the Island Green which consists of only a 78ft long green surrounded completely by water (save for a small path leading up to it). This is known as one of the trickiest shots in golf and it is estimated that over 100,000 balls are retrieved from the water each year thanks to missed shots by professionals and tourists alike. 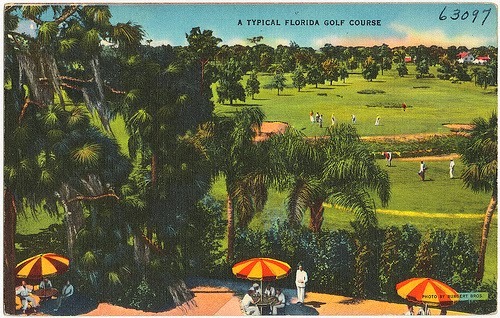 The club is also home to the Dye’s Valley Course that opened in 1987 – this course mirrors the standard of excellence found on the more famous Stadium Course but offers a calmer experience for the golfer looking for a quieter game that moves at a steadier pace than what may be available at the busier course. 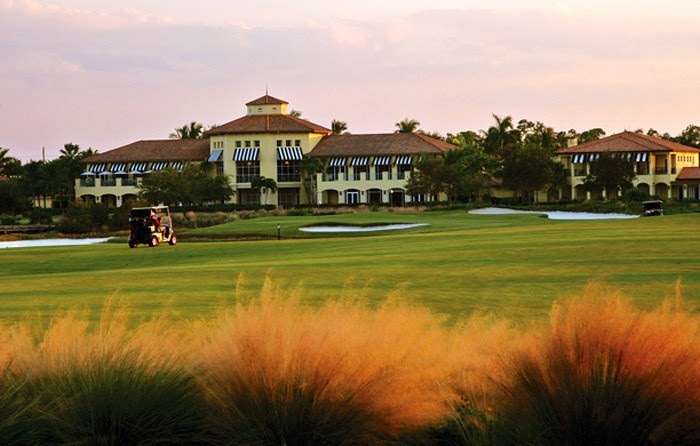 Holiday packages are available for the tourist looking to make the trip to Florida for an unparalleled golfing break, starting at $324 per night per person that includes games of golf, accommodation and access to limited equipment. Editor's note: The Honda Classic will take place this week at the PGA National Resort and Spa’s Champion Golf Course, considered by many to be one of the most difficult and finest of Florida's testers on Tour. Many of the top names will be in attendance - golf betting previews currently have Rory McIlroy and Tiger Woods neck-and-neck as both top-ten and as winners. Maria Bain is a freelance travel blogger, she writes on a number of topics including luxury travel, golf travel and photography. 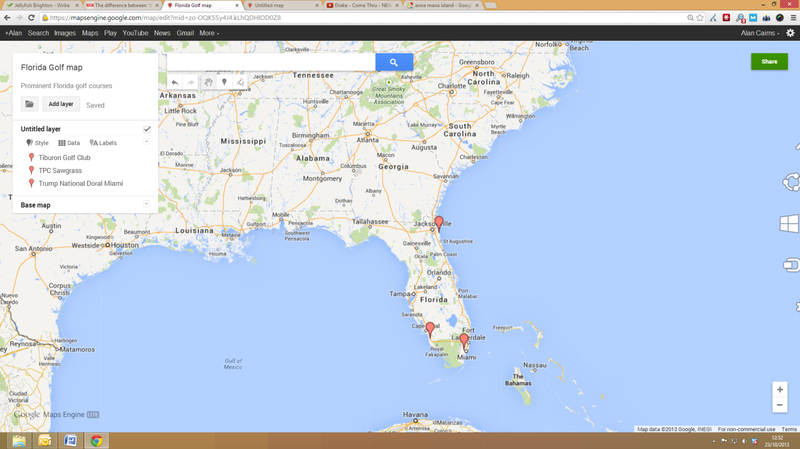 Voice your opinion on Twitter @Golf4Beginners - which Florida Golf Courses do you play? The #Golf Personality Conundrum - What Type of Golfer Are YOU? Whether you are new to the game of golf or whether you have been playing for years, there is one thing about the game you’re sure to pick up on early – the different types of characters on the course. Golf is known for the eccentric, the stag dos, the serious players, even the corporate part-timers. To this end, there is a new Golf Quiz making the rounds which tells people what type of golfer they are most like. It has been produced in the hope of discovering which type of character is the most common. The creators of the quiz, Golfplan Insurance, have put together nine different scenarios that are likely to occur on the course. These have been based on personal anecdotes and conversations with golfers. There are some great scenarios, like the time when the ball stops less than an inch from the hole or when the heavens open. For those of the more seasoned variety, it will present a nice trip down nostalgia avenue as memories of past games when certain scenarios happened, come back to life. For each scenario there are four possible solutions. They range from the comical to the serious to the absurd – but they are all true of golfers. These are used to determine the kind of character taking the quiz. Here is one of my favorite golf questions in the quiz. You're ready to tee off on the first hole. The weather is good-little wind, but there is a bunker two-hundred yards away. There are people watching (gulp). What do YOU do? My answer? Play it safe, of course, but I'll bet there are those golfers out there reading this blog that would choose answer "C" (you'll have to take the quiz to find out). As you can see, I have taken the quiz. 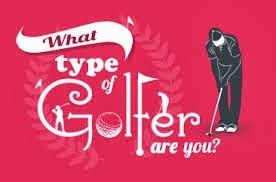 Stick around until the end of this blog to find our what type of golfer the quiz says I am! In creating the profiles, research was undertaken to establish a number of different personalities on the course. These were then grouped together and given an overarching profile identity. There are four different possible identities but we won’t reveal them and take the fun out of taking the quiz. The creators hope that there will be a strong enough response to ascertain an idea of the most common golfing personality. While the quiz isn't meant to be anything scientific, it is a great bit of fun. Okay, the moment you have been waiting for! 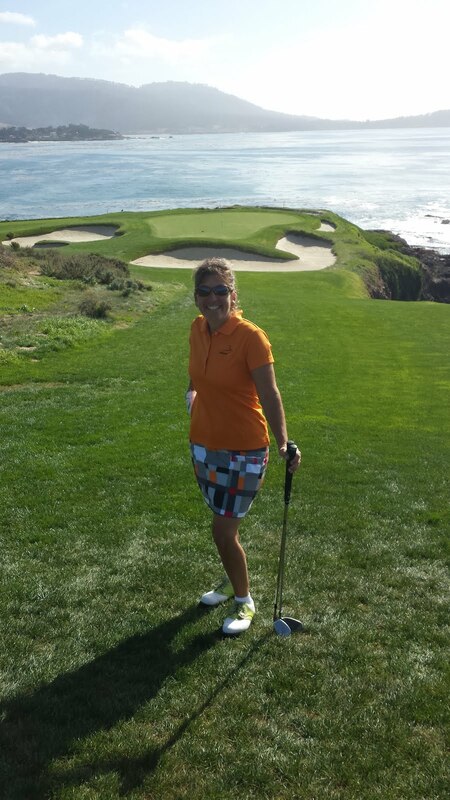 What type of golfer is Stacy Solomon from Golf for Beginners? The COA, but you might have guessed that already - take the quiz and let us know what golf personality YOU are! Voice your opinion on Twitter @Golf4Beginners and LIKE us on Facebook. It is rumored that Arnold Palmer once said that watching golf on TV was about as much fun as watching paint dry. I am sorry Mr. Palmer, but I have to disagree with that. Being a junkie for golf on the course, on TV and online, I just can’t get enough of it! Which is why I was delighted to see someone find a way to make the game more enjoyable even when Mother Nature thinks it’s time to hibernate our clubs. Let’s face it, there’s nothing worse than playing with cold balls. And there’s nothing fun about freezing one’s butts off while trying to keep our precious Pro V1s warm enough to perform the way a $5 golf ball should. But the problem is that all the major brands are manufactured for an optimum temperature of ~ 80 degrees F. When those balls getcold, they’re less resilient and don’t compress as they should off the club face. Frank Thomas, former USGA director shared in his book, “Dear Frank...: Answers to 100 of Your Golf Equipment Questions that for every 10 degree drop in temperature, golfers can lose up to 2.5 yards of distance. That yardage really adds up when the mercury takes a dip. Enter ColdFusion Golf. They have just launched the first cold weather golf ball that is designed to perform better the frostier it gets. 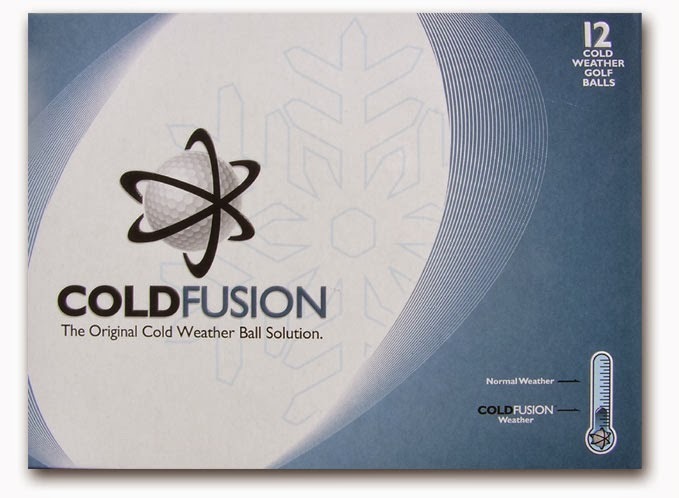 Apparently the ColdFusion Golf ball uses a custom core that retains its elasticity even when frozen. The softer core also makes the ball more responsive off the club face and gives golfers better feel for every club in their bag, even the putter. Teaching professional Randy Davis of Fairways and Greens Golf School in Cary, NC tested them out and gives them high praise. “As a retired PGA Touring Pro and year round golfer, I understand why my normal ball doesn’t perform its best in colder weather. 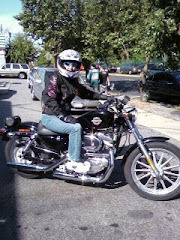 And when it loses compression and feel, it makes my rounds less enjoyable,” shared Davis. So if you’re feeling frost bitten by lost yardages because your balls feel more like rocks and rockets when the chill hits the fairways, why not give ColdFusion Golf a try? In fact, why not play alternate shot with your standard ball and a ColdFusion Golf ball and see if you notice a difference. Then tell me what you think. But remember what they recommend… For optimal performance, chill’em before you drill’em down the fairway! Do you play golf in cold weather...even with a bit of frost on the fairway? Voice your opinion on Twitter @Golf4Beginners and on our Facebook page. European golf had a great 2013 with Adam Scott victorious in a playoff over Angel Cabrera at The Masters Tournament and Justin Rose winning his first major championship in the form of the U.S. Open. With the sport more popular than ever, thousands of people are flocking to specialized golf break holidays all around the world to take advantage of the beautifully manicured vistas and tough tests of the European links. With that in mind, I have compiled a list of 2014’s top five golf break destinations. These five destinations are places that I believe offer that little bit extra to the travelling golfer and can suit all tastes and competitive levels. A long time favorite with experienced golfers, Northern France boasts a number of top class golf courses. Le Touquet, Hardelot, Arras and Saint Omar are highly regarded as some the world’s greatest golf tests. A big advantage for this region as a golf destination is the option of using the Euro Tunnel. Not only does this make the trip a lot cheaper for individuals travelling from Europe, but it also allows the freedom to bring as much golf equipment as one could possibly need. Mix this with the amazing nightlife, beaches and world famous food of the northern coastline and you will be hard-pressed to find a better location. Seen as the spiritual home of golf, St Andrews is home to a number of world class golf courses. The list includes St Andrews Old Course, Kingsbarns and the lesser known Crail and Lundin. Beautiful landscapes and a number of popular local attractions all help with St Andrews' undeniable charm. 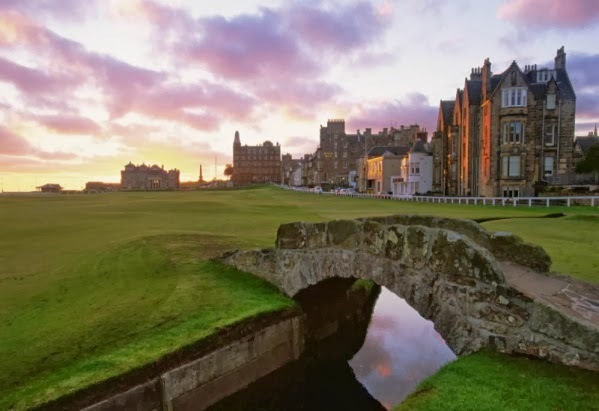 Now home to a number of stunning hotels and Michelin-rated restaurants, it’s easy to see why St Andrews is one of the world’s leading golf break resorts. There are few locations with better hospitality than Ireland making this location even more appealing to the travelling golfer. With pubs around every corner, the midlands region on the east coast of Ireland, which encompasses the capital city Dublin, has a number of world class courses, the likes of which include the 2006 Ryder cup host The K Club, Royal Dublin Golf Club and Portmarnock Golf Club. 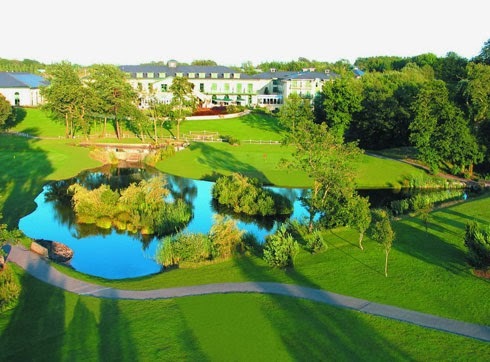 All within a short drive from the city center, these courses are helping pave the way for Ireland to emerge as a strong contender for holiday set golfers everywhere. A country that is often overlooked as a golfing destination this sporting nation is finally standing on its own as a world class leader. Golf is one of the most popular sports in the country, with more courses per capita in the world. 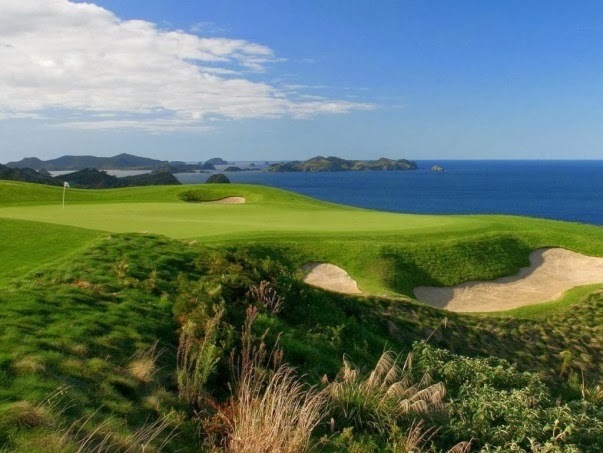 With three of the country’s courses featuring in Golf Digest's “100 Best Courses Outside of the U.S.”, New Zealand is proving that it is a force to be reckoned with in the golfing world. Courses such as Cape Kidnappers, which made number ten on the list offer seaside golf at its best. If you enjoy a strong breeze then why not try Kauri Cliffs. Voted number thirty on Golf Digest's ranking, this course offers fifteen holes with stunning views of the Pacific Ocean. With the eyes of the golfing world firmly set on South Wales in 2010 thanks to the Ryder Cup, Wales has gone from strength to strength as a firm favorite for golfers across Europe and the rest of the world, with fabulous courses just outside the capital Cardiff, the likes of which include the Celtic Manor and the Vale Resort. Visitors will be overwhelmed with the depth and beauty of these courses. Growing ever more popular in the country there is now over eighteen courses within a short drive from Cardiff. From the city life of Cardiff, Swansea and Newport to the sandy bays of the Gower, the peaks of Brecon Beacons and the lush countryside of the Pembrokeshire National Park, South Wales is an ideal golf break destination. A Digital Marketing Executive based in South Wales, David often writes about sports and other leisure activities and is a keen amateur golfer. Is your favorite golf break destination listed here? If not, feel free to add it to our Golf for Beginners comment area below! 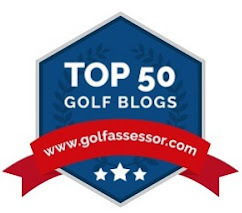 Also, voice your opinion on Twitter @Golf4Beginners and on our Faceboook page.